AMRO’s Advisory Panel at the meeting. From left to right: Dr Mohamad Ikhsan, Dr Bandid Nijathaworn, Dr Maria Socorro Gochoco-Bautista, Professor Akira Ariyoshi (AP Chair), Professor Feng Lu, and Professor Kyung-Wook Hur. SINGAPORE, March 15, 2018 – Members of the Advisory Panel (AP) of the ASEAN+3 Macroeconomic Research Office (AMRO) met today to review AMRO’s surveillance on ASEAN+3 economies. Specifically, AMRO presented on the recent developments and challenges in the ASEAN+3 region and sought the AP’s views on the content of its annual flagship report, the ASEAN+3 Regional Economic Outlook 2018 (AREO 2018). The AREO 2018, which comprises assessments on the regional economic developments and a thematic study on “Resilience and Growth in a Changing World”, will be launched in early May on the sidelines of the Asian Development Bank Annual Meetings in Manila, the Philippines. AMRO also consulted with the AP on its assessments of 14 member economies, namely Brunei Darussalam, Cambodia, China, Hong Kong, China, Indonesia, Japan, Korea, Lao PDR, Malaysia, Myanmar, the Philippines, Singapore, Thailand, and Vietnam. All these documents will be submitted to the ASEAN+3 Finance and Central Bank Deputies’ Meeting (AFCDM+3) in Singapore in early April for their discussion. 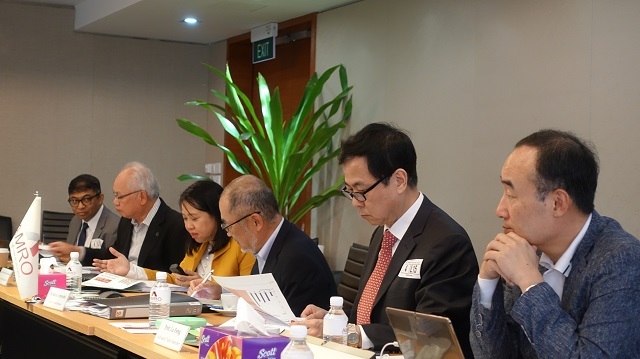 The meeting was chaired by Professor Akira Ariyoshi (AP Chair), and attended by Dr Bandid Nijathaworn, Dr Maria Socorro Gochoco-Bautista, Professor Kyung-Wook Hur, Dr Mohamad Ikhsan, and Professor Feng Lu. 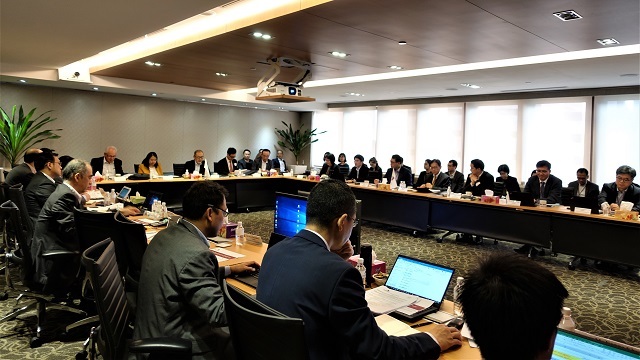 AMRO Chief Economist Dr Hoe Ee Khor, Deputy Director (Administration) Mr Byungseo Yoo, and Deputy Director (CMIM, Strategy and Coordination) Mr Yasuto Watanabe also attended the meeting.